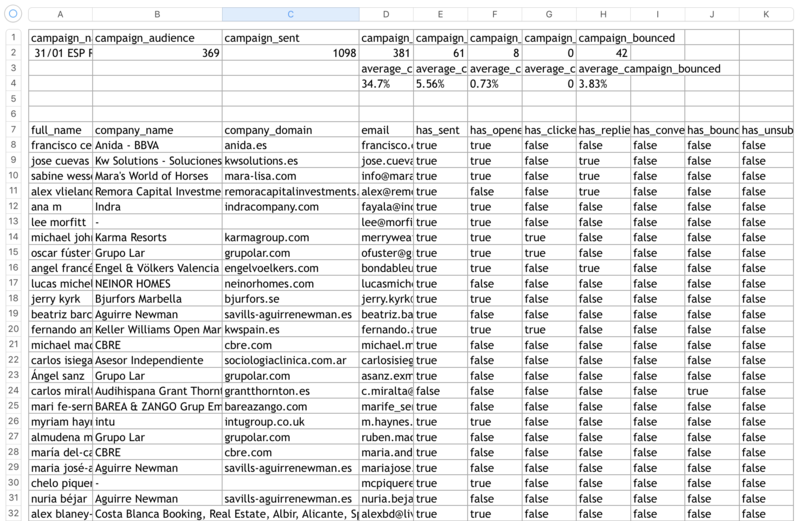 When you send drip campaigns we make sure to track everything related to your campaigns. 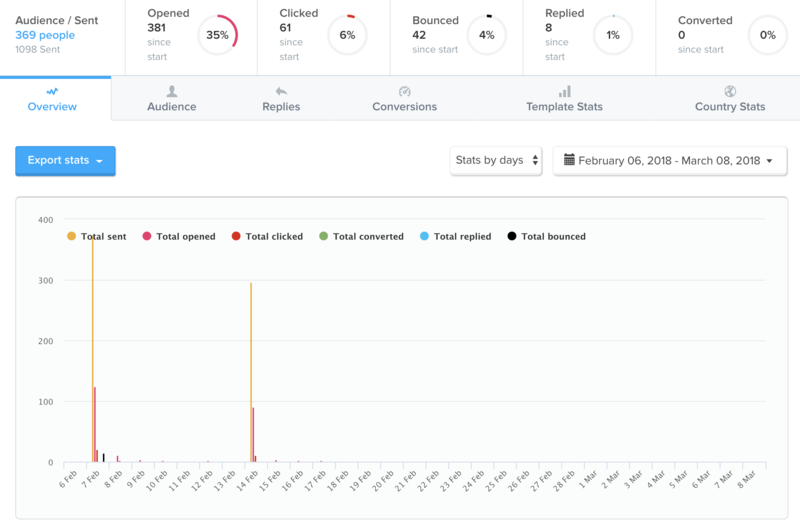 This includes some statistics from sending, opens, replies and conversions. After sending a campaign you will get all information related to this campaign, including sent, opens, clicks, conversions and more.. Export directly the statistics of your campaign in one click to get a full report in Excel.